Needless to say, every business needs photos. Online businesses, particularly, rely on imagery not only to represent their products, but also to represent their brand identity and build relationships with clients that result in return custom. 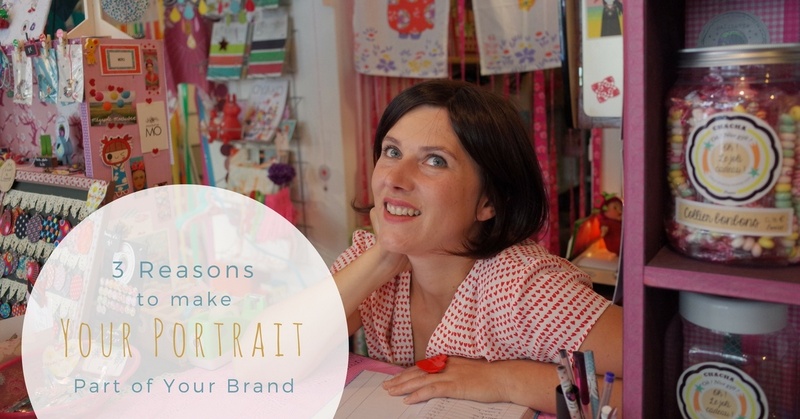 Most business owners are very shy about putting up their portrait on their website or social media. However, the following case studies reveal 3 ways professional portraits helped these small businesses to better promote their brands. When you are the sole decision maker for your business, you may spend a lot of time pondering all the small, yet important details of your marketing efforts. The color of your logo, your website font, the content you post on Facebook, the layout of your Instagram feed, your strategy for getting your message in front of the right audience. You want to make your content attractive among the ocean of a million other posts. Although it might not seem necessary, posting a photo of yourself can dramatically increase your engagement. 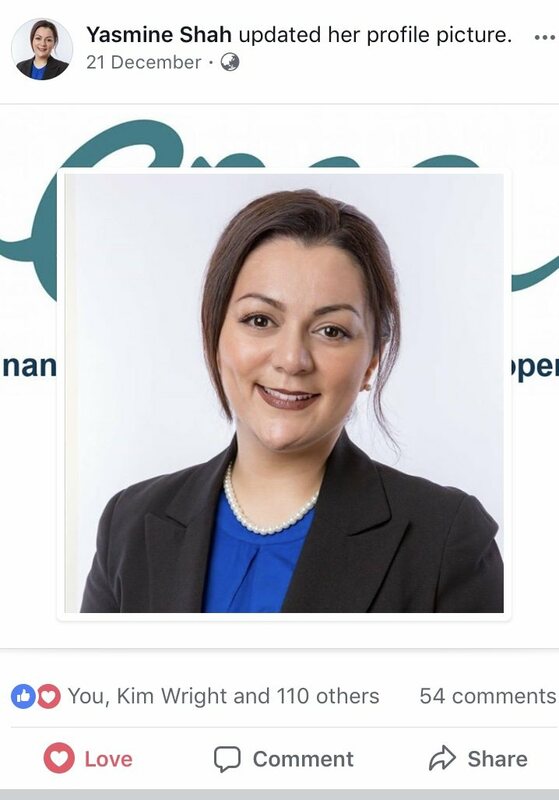 Yasmine Shah and her 2 business partners are running a small finance business, Ema Finance, specializing in mortgage and loans. On average her posts on Facebook have less than 10 likes or comments and no shares. December 21st 2017, she posted her new profile picture by York Street Photography, and it instantly attracted a much higher reach and engagement rate with 110 reactions and 54 comments! Yasmine was able to take this opportunity to reply to comments and engage with potential customers, even with just a simple thank you message. That’s the power of showing a portrait as your profile photo. Gaining trust from a random person browsing your Instagram or Facebook page to convince them to purchase your product straight away is not easy. Think about how often you check on a page and after few scrolls you lose the interest and think there will be another business offering the same thing and you don’t need it right away, so bye for now, see you later. When Kim Wright approached me for a photoshoot for her re-brand, the first thing I asked her was what impressions her customers have when she provides services to them. Her answers consist of these words: kindness, trustworthy, promising, & professional. 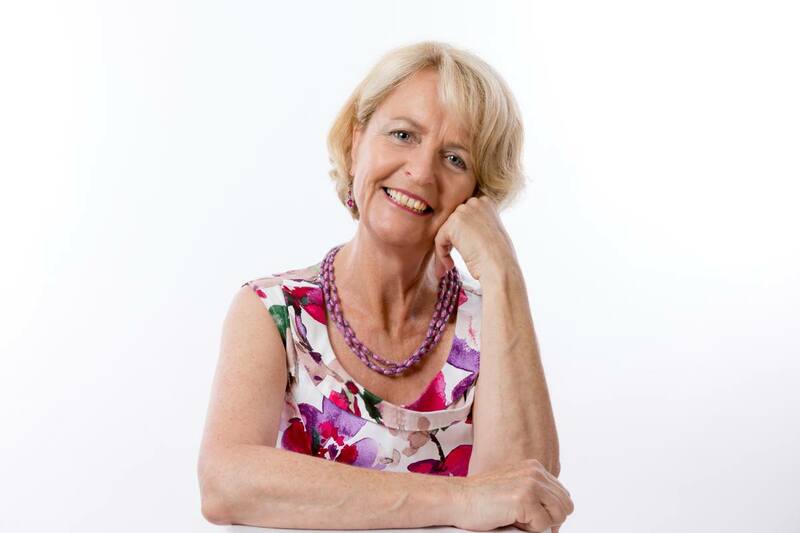 Having re-branded her business in her 50’s, she is charming enough to convey that message to her clients with her beautiful smile and wisdom of her styling. She picked her flower-patterned dress, matching earrings and necklace, and all I did was capture the shot. Wouldn’t you be interested and trust the people behind the social media with authentic photos and words that exactly represent themselves, so you are willing to build or keep a relationship with them? I’m the front face of York Street Photography. I am never afraid of changes and challenges, brave to find that unique angle and perspective for my photograph. This self portrait was a random creation in my photography studio, but soon its importance exceeded that of my logo. People don’t recognize me when they see me. 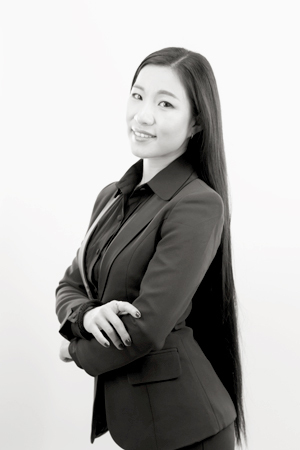 I often tie my super long hair up, in my active wear and no makeup, I look like a 14 year old – Asians don’t age! But I am serious about my love of photographing people and I believe a photo shoot is about a happy experience, to rediscover a person that you could never see in front of mirror. Mirrors are deceiving as they show the flip side of your face, and no one has a perfectly symmetrical face. You might be very wrong about your ‘good side’ and ‘bad side’, until they are exposed in a photograph. A photo of myself, is the best promotion of my photography, at the end of the day, I represent my services and the image speaks for myself. 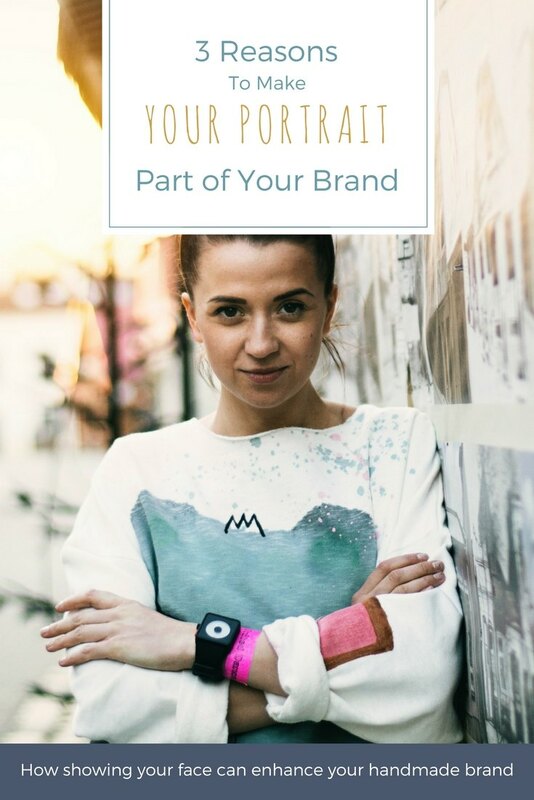 Now say yes to challenge yourself with adding a business portrait on your Instagram or Facebook page and show your image side by side with your product. 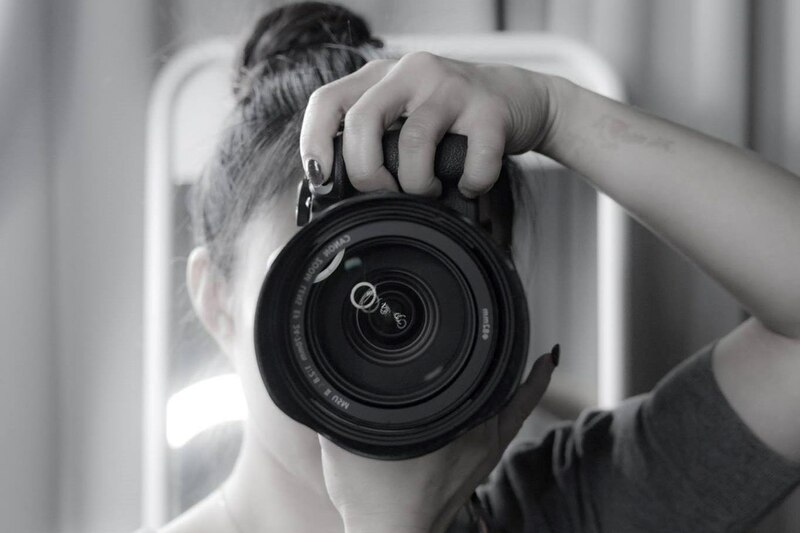 Shelly is the owner and head photographer at York Street Photography, and the face behind Visual Identity Production Studio. In collaboration with stylists, makeup artists, branding strategists and other creative minds, she serves small businesses’ marketing and branding needs in a single stop. You can see more of Shelly’s work on the Visual Identity Production Studio website, or follow York Street Photography on Instagram. Shelly is bravely shaving off her long locks for the Lukemia Foundation’s World’s Greatest Shave next month! If you’d like to get behind her and help raise money to beat blood cancer, check out her ‘Shave page’ and her fundraising Facebook page.